« Joint Car Club Event – Mercedes-Benz & BMW Car Clubs. 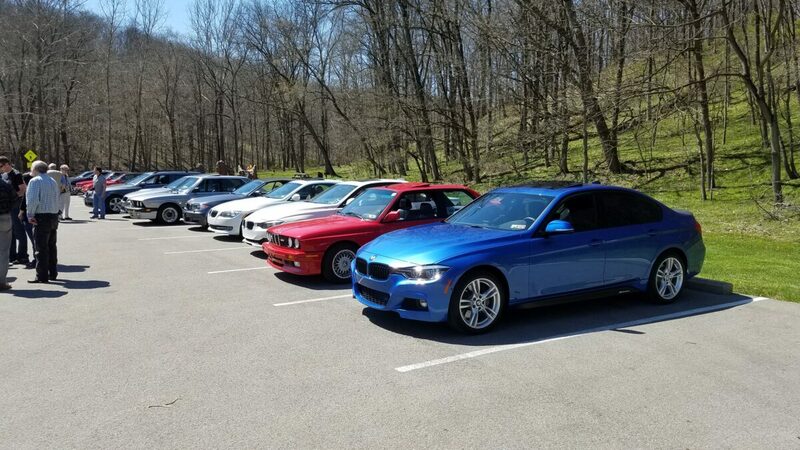 The Allegheny Chapter of the BMW CCA offers a wide variety of events, ranging from social gatherings to autocross to hosting a hospitality tent at the PVGP. Some of the most important chapter events are the touring drives through the twisty-turny back roads of western Pennsylvania, West Virginia and eastern Ohio. After all, such drives are why many of us bought our Bavarian-designed masterworks in the first place. The club would like to increase the number of annual touring drives we offer. But we need your help to do so. We need more members who love to drive and are willing to step up to either lead or sweep. Creating and leading a drive is personally exciting and rewarding. But no one can start in a vacuum. It takes a lot of support and guidance to gain the experience necessary to create a successful drive. With that in mind, we will be hosting a Drive Meister meeting at Spaghetti & Steak House at 6371 Wm Penn Hwy (US-22), Delmont, PA 15626 on Wednesday, April 17 from 6:00 to 8:00 PM. Experienced drive leaders will discuss the process and best-practices for running a club drive. Hands-on support will be offered to anyone who wants to learn how to do a drive. The intention is to make sure that anyone who has an interest in leading a drive gets all the support they need. Attending this meeting does not imply a commitment. Even if you have just a casual interest, please come. Direct any questions to Gary Sefcik (gary.sefcik5@gmail) or Glen Beattie (glen5182@gmail.com).